Editor’s Note: Rogozin’s Twitter account is limited to approved followers, not the general public. 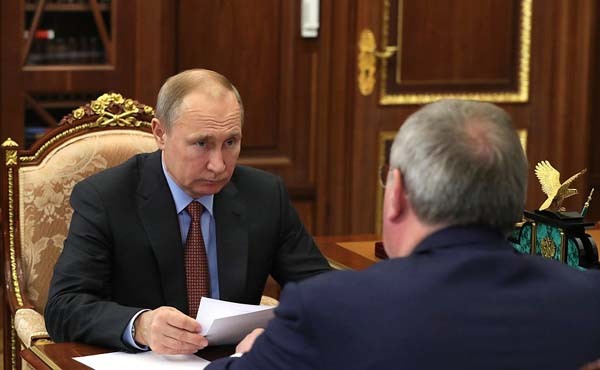 The Kremlin has appointed a minder over at Roscosmos to tamp down on the general director’s public comments. My guess is that after the dust up over Roscosmos’ tweet after Crew Dragon docked, someone (Putin?) talked to (yelled at?) Rogozin and made sure he (his political minder?) made sure something nice was tweeted for the landing. 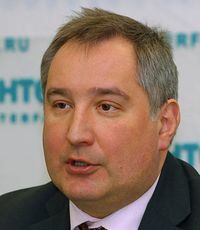 Politico reports that plans to have Roscosmos head Dmitry Rogozin to visit the United States to consult with NASA officials and tour American space facilities is not going over very well with some in Washington. The trip would require the government to lift sanctions on the Russian leader, who is currently banned from visiting the United States. Yet lawmakers from both parties and former national security officials are crying foul, saying the invitation undermines U.S. sanctions and would give a government-approved platform to an anti-American bigot. “It absolutely sends the wrong message to lift sanctions, even temporarily, for the purpose of inviting him to speak to students at one of our nation’s premier universities,” said Sen. Mark Warner of Virginia, the top Democrat on the Senate Intelligence Committee and a leader of the committee’s investigation into 2016 Russian election interference. In an email, [NASA spokeswoman Megan] Powers also defended Bridenstine’s invitation. Roscomos State Space Corporation Director General Dmitry Rogozin said an international effort based on parity and “mutually respectful cooperation is needed to send humans back to the moon, TASS reports. If the United States is unable to work on that basis, Russia will cooperate with other international partners, he added. Rogozin added that Russia should be able to develop a system for human lunar flights by 2024. 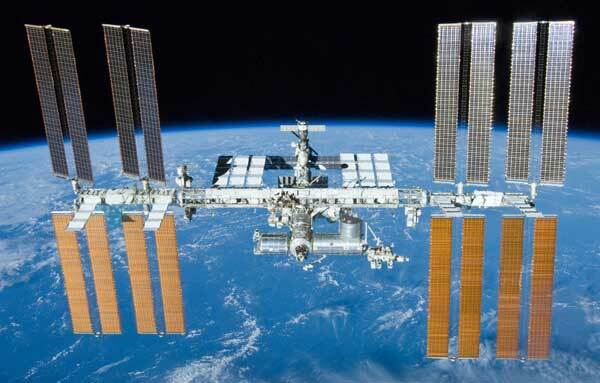 “Today the Russian Federation has the sole space transport system so far. We have carrier rockets and manned spacecraft. Ballistics specialists of the Energia Rocket and Space Corporation have made calculations of our possibilities. In about 6-7 years, we will be able, using already the Angara-A5 rocket, in case that it blasts off from the Vostochny spaceport beginning from 2023-2024, we will be able, even using the current manned spacecraft, to ensure the permanently operating transport system capable of reaching the Moon and working in the lunar orbit,” the Roscosmos chief said. Russian cosmonaut Sergei Ryazansky says that human missions to Mars should be undertaken as an international effort as well, TASS reports. “Mars should become a global task. We should strive for it. The youth will join the effort, investments will come and, most importantly, the flight can be implemented, in principle. Another thing is that other technologies should be developed to make the flight quicker and safer and all of them will recoup investments in the Martian project because they will be in demand on Earth,” said Ryazansky, who called the moon an “intermediate step” toward the Red Planet. Roscosmos General Director Dmitry Rogozin will be paying a visit to the United States at a date TBD, The Moscow Times reports. The White House has temporarily lifted an entry ban imposed on the head of Russia’s federal space agency to allow him to visit the United States, the head of NASA has said in an interview with Russian media. The U.S. banned entry to and froze the assets of ex-Deputy Prime Minister Dmitry Rogozin, along with other officials it blames for Moscow’s seizure of the Crimean peninsula in March 2014. Rogozin, 54, oversaw Russia’s powerful arms industry before he was appointed to head the Roscosmos state space agency earlier this year. 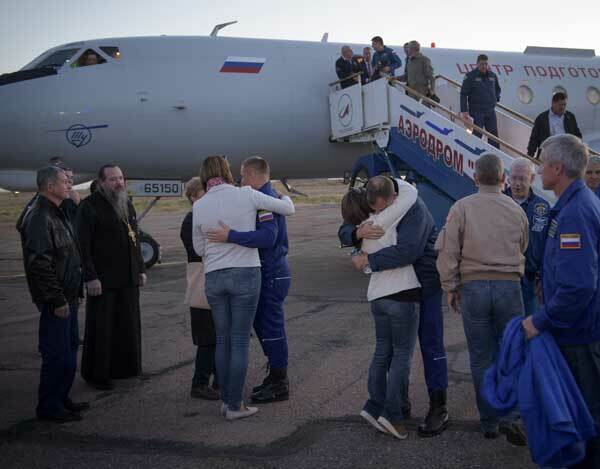 Rogozin will now be able to travel to the U.S. under a workaround that removes the sanctions for the duration of his visit, NASA administrator Jim Bridenstine told the state-run TASS news agency Friday. Although praising Elon Musk as “a talented engineer and an outstanding promoter,” Roscosmos General Director Dmitry Rogozin last week accused the American billionaire of selling launch vehicles at below-market prices in order to squeeze out Russian providers. “If you compare the price Musk sells his rockets to Pentagon at and the price he quotes for them on the market, you will see that this is nothing but pure dumping. In order to drive Russia from the market he sells launches at 40 to 60 million dollars while being paid 150 million for a launch by Pentagon,” he told Russia’s TV Channel One. SpaceX officials have said that U.S. government launches require additional tasks that drive up the cost. Meanwhile, Russia’s Glavkosmos Launch Services announced last week that it charges $48.5 million for a Soyuz 2.1 booster with a Fregat upper stage. A launch without the Fregat is priced at $35 million. Both prices are below the amount SpaceX charges for satellite launches. The Falcon 9 is capable of orbiting larger payloads than the Soyuz 2. 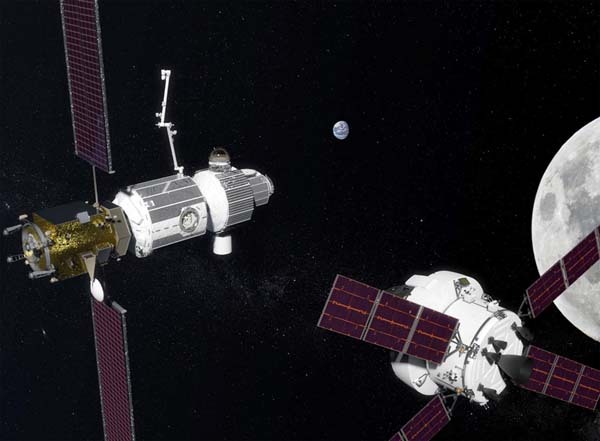 Russian officials are expressing doubts about the American-led Lunar Gateway — which would orbit the moon — while deepening cooperation with China on deep-space exploration projects that could include a crewed base on the surface of Earth’s closest neighbor. SpaceNews reports that Dmitri Loskutov, head of Roscosmos’ international cooperation department, laid out a series of concerns during a panel discussion last week at the International Astronautical Congress in Bremen, Germany. Loskutov’s boss, Roscosmos CEO Dmitry Rogozin, was in China the week before for joint discussions on a range of cooperative projects. “As a result of the meeting, a Protocol was signed, according to which the Parties will take further steps to bring their positions closer within the framework of implementing joint projects on launch vehicles and rocket engines, on exploration of the Moon and deep space, remote sensing of the Earth, satellite navigation, creation of an electronic component base for space purposes, low-orbit mobile communication system and space debris monitoring,” according to a Roscosmos press release. Tass quoted Rogozin as saying the project could include a base on the lunar surface. “China is a serious partner. I don’t rule out that as soon as we agree the outlines of our lunar program with the Americans, it is our manned lunar program, the formation of a research station on Moon’s surface is likely to be carried out with our Chinese partners. They can be equal partners already in the coming years,” he told Russia’s TV Channel One. Roscosmos head Dmitry Rogozin does not appear to be a fan of the planned Lunar Gateway. The remarks caused some consternation that Russia was going to pull out of the NASA-led international venture. Roscosmos Spokesman Vladimir Ustimenko denied the report, saying talks remain underway on Russia’s participation in the project. Roscosmos head Dmitry Rogozin has announced a new launch date — November 2019 — for the launch of its long-delayed Nauka multi-functional module to the International Space Station. Whether this new date will hold is anyone’s guess; the module’s launch will be a dozen years behind schedule by that point. Nauka will serve as a scientific laboratory as well as a rest area for Russian astronauts aboard the space station. The module will include an airlock for experiments, crew quarters, a galley and a toilet. Nauka also includes a docking port for Soyuz and Progress spacecraft and a European-supplied robotic arm. Construction of the Nauka module began in 1995. It was originally a backup for the Zarya module, which was the first element of space station launched in November 1998. With Nauka no longer needed to back up Zarya, plans were made to convert it to a multi-purpose module with a launch scheduled for 2007. However, technical problems repeatedly delayed the launch. In 2013, RSC Energia engineers found a leaking valve and contamination in Nauka’s fuel system. 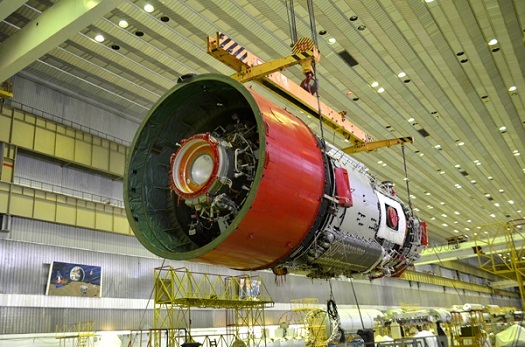 The module was shipped back to Khrunichev State Research and Production Space Center for repairs and cleaning. The following year, Russian officials announced that Nauka would be further delayed because it needed a new propulsion system. The propulsion unit installed on the module had exceeded its warranty.